Ross Jennings is the Vice President of International Programs and Extended Learning at Green River College in Auburn, WA. 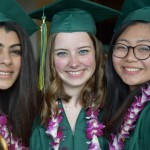 Under his leadership, Green River’s international enrollment has ranked in the top 20 of the almost 1,200 US community and technical colleges since 2008, and in the top 10 since 2012. Jennings has presented at numerous conferences, regularly advises other colleges on international student recruitment, and has assisted a number of organizations in outreach and advocacy efforts, including NAFSA, AACC, NACAC, AIRC and Education USA. He serves as president of AIRC in 2015. Jennings studied, taught and worked overseas for over a dozen years, primarily in North Africa, the Middle East and China. Ross Jennings earned a Bachelor’s degree at UC Santa Barbara in 1972. In 1975, he completed a Masters of Education at Stanford University. He completed a Master’s degree in Near Eastern Languages and Literature in 1977 at the University of Washington and an MBA at the University of Oklahoma. Jennings likes travel, anything outdoors, good conversation and learning cultural trivia (from the origins of the Septuagint to the Hadramaut valley in Yemen, the origin of the first Muslim proselytizers in Indonesia). Ross Jennings can be found on LinkedIn.